Easy Black Bean Brownies. YES. I am so excited to share this recipe with you for a few reasons. One, and most obvious, it’s delicious. 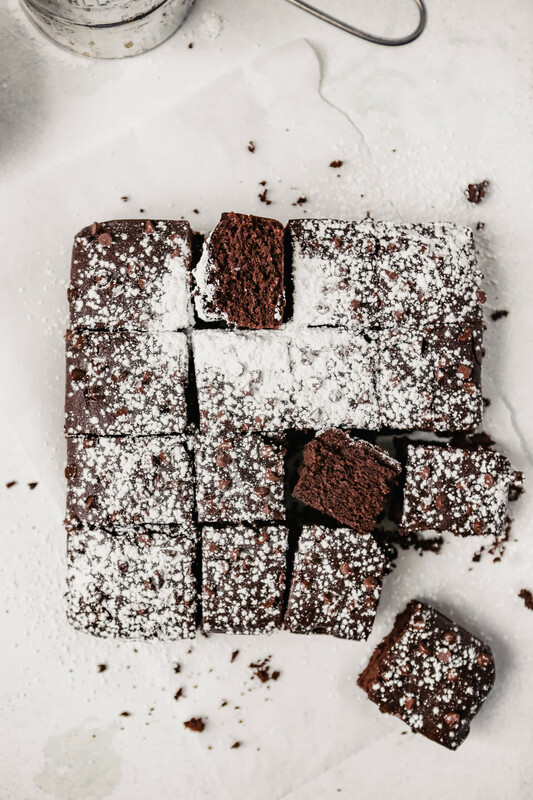 Two, these black bean brownies are easy to make. And three, you guys seemed SO excited for the recipe when I shared a little sneak peek on Instagram a few weeks ago. And rightly so! These babies are magical, if I do say so myself. So black bean brownies? Why? I get it, why mess with something so pure, so good. And I totally agree, there’s nothing wrong with indulging in a classic, fudgy, chocolatey brownie. But what if I told you that you could have all that while also lightening the overall load and adding some nutrients. Why not, right? Or is it just me? 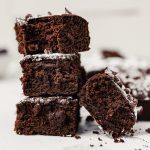 These easy black bean brownies are incredibly simple to make and satisfy your craving with absolutely no hint of bean in sight. I find them magical. 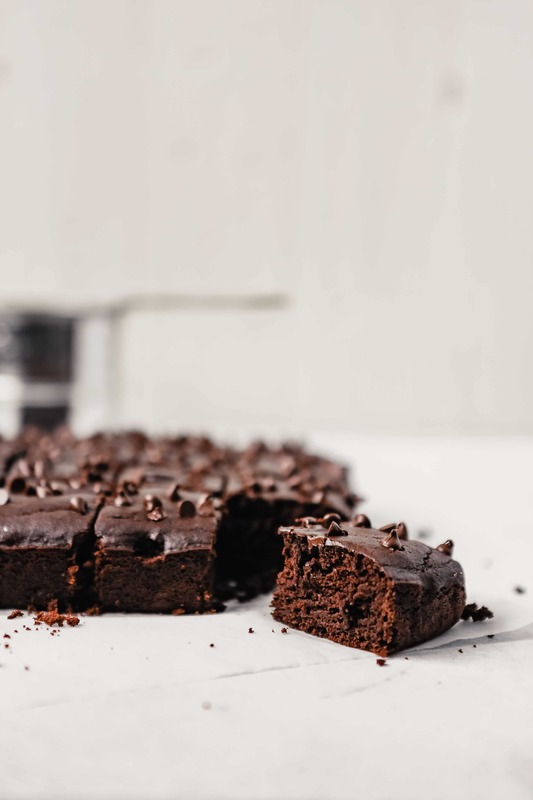 So, I guess to answer your question, black bean brownies are the key if you want to indulge in the classic dessert without all the fat (and lack of nutrients). How do I store black bean brownies? Since these brownies are made with black beans, I highly recommend storing them in the refrigerator, at least a few days after baking. Otherwise they’ll start to mold faster than regular non-bean brownies. And no one wants that. Do black bean brownies actually taste good? Oh my gosh, I am telling you, these easy black bean brownies have NO beany flavor in sight. I offered G a piece, with no preface at all, and he loved them. As a point of reference, mind you the first recipe test was a bit dry, G thought I had made a classic chocolate cake recipe. Fast forward to test three and he had no idea there was a WHOLE can of black beans in the batter. And G is picky when it comes to sweets, so that’s saying something. If that isn’t convincing, I don’t know what is. 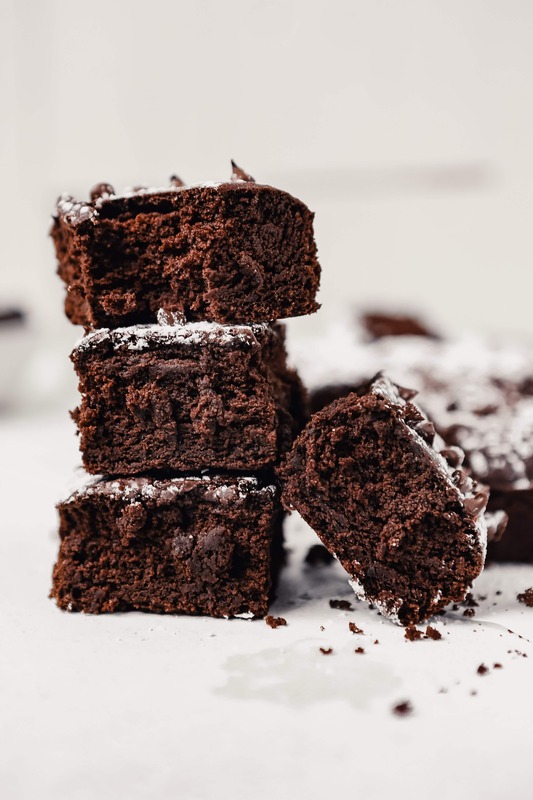 Are black bean brownies healthy? Yes! 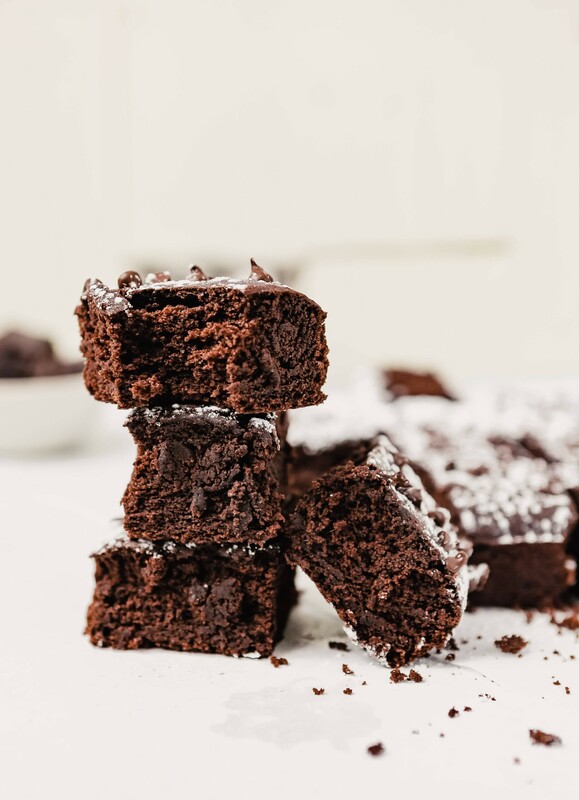 Oh my gosh, the black beans replace a lot of the oil that would be added in a classic brownie, which means these easy black bean brownies are pretty low in fat. 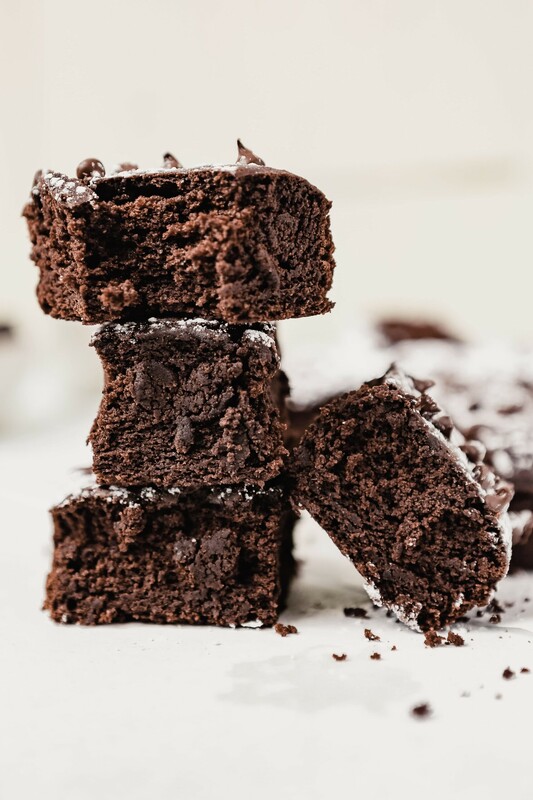 They’re also made with less flour than most brownies which also helps tp decrease the overall carbs. Melt the chocolate and coconut oil until smooth (in a double boiler or microwave). Blend black beans, eggs, sugar, espresso powder, and vanilla in a blender until smooth. Add melted chocolate mixture and blend. Add flour, baking powder and baking soda; blend just until combined. Pour batter into a parchment-lined baking pan and bake. 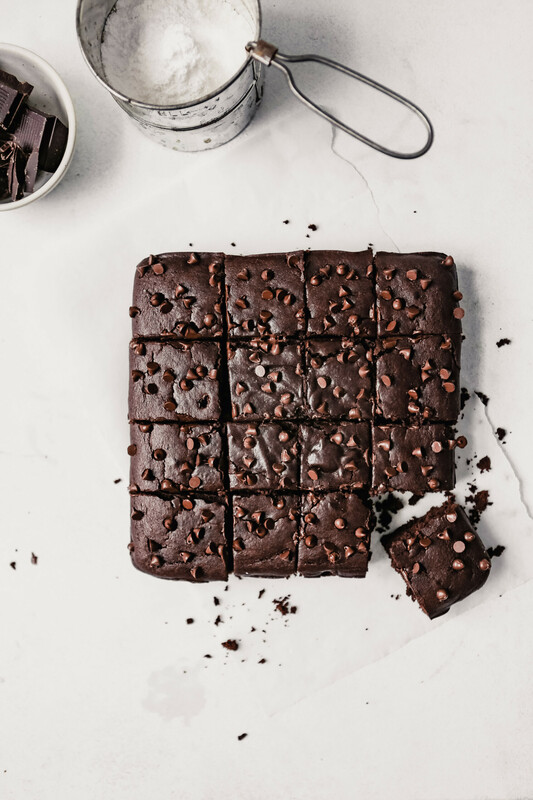 Tender and fudgy, these black bean brownies are healthier than the classic dessert and just as delicious—if not more. Preheat oven to 350°. Grease an 8-inch baking pan with nonstick spray and line with parchment paper, leaving a 2-inch overhang. Melt coconut oil and chocolate together in a double boiler (or microwave) until smooth; let cool 5 minutes. Blend beans, eggs, sugar, cocoa, espresso powder, and vanilla in a high-powered blender until completely smooth. Add chocolate mixture and blend until smooth. Add flour, baking powder, and baking soda and blend just until combined. Pour batter into prepared pan, smooth top, and sprinkle with chocolate chips (if using). Bake brownies until a toothpick inserted in the center comes out clean, 25 minutes. Let brownies cool in pan 5 minutes, then transfer to a wire rack to cool completely. Dust with powdered sugar, if desired.